Sarah Huckabee Sanders & White House "Journalists"
You need to pass gassy globules so your brain clears up. 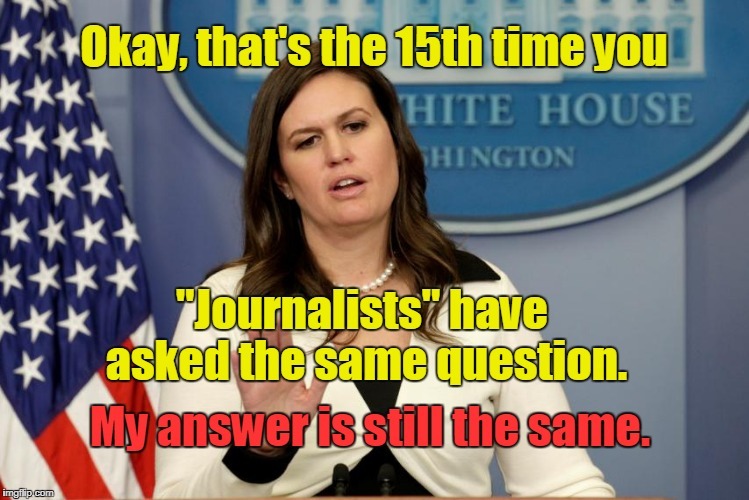 Okay, that's the 15th time you; "Journalists" have asked the same question. My answer is still the same.